This race has been canceled for 2017! 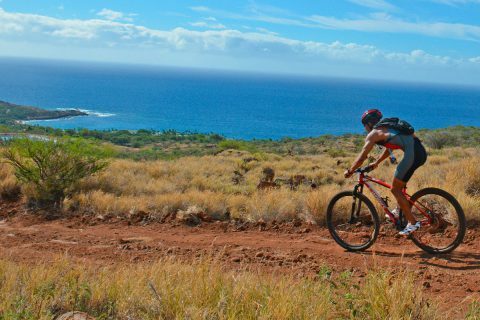 This is an amazing course that starts with a half mile swim in a marine sanctuary, then a ten mile mountain bike ride on the red dirt hills, and finally a ocean view golf course run. This is a mountain bike only course, so no street bikes or hybrids. 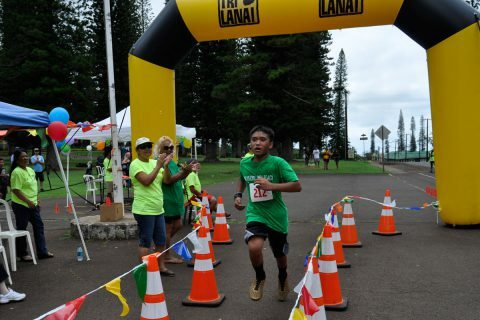 TriLanai City Run offers half-marathoners, 10k, 5k runners & walkers and even the keiki a great way to experience storied Lanai city. The course starts and ends in Dole Park and offers nearly traffic-free running regardless of the distance you sign up for!